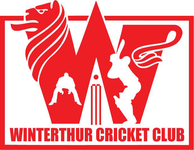 On Wednesday 8th June members of the WCC ran an Introduction to Cricket for 9 pupils at the Oberstufenschule in Nänikon-Greifensee as part of their project week on India. John Hallam introduced some of the basic rules on how to score runs and the goals of the game, all of which was soon put into practice in the indoor facilities at the school. Some of the pupils displayed a natural talent for cricket and eye-hand-ball coordination. Many thanks to Corinne Arman for providing us with this opportunity to explain and demonstrate cricket. 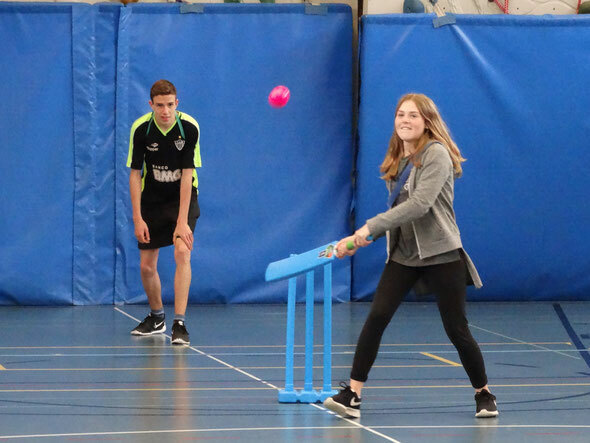 We hope all the pupils enjoyed the 2 hour lesson and that cricket will be played again sometime soon at the Oberstufeschule Nänikon-Greifensee..
Further information is available from John Hallam. You can also view photos of the Introduction to Cricket ran at the Oberstufenschule in Nänikon-Greifensee.